As Fiji’s COP23 Presidency and environmental organisations continue to work towards addressing the challenges of climate change on a global scale, Leleuvia Island Resort is thinking global and acting local by banning chemical sunscreens on the island. Building on its successful ban on single use plastic and drinking straws in March 2016, Leleuvia Island Resort is taking another giant step to protect it’s marine environment. From August 1st, guests will be prohibited from using sunscreens that contain ultra violet blocking chemicals such as Oxybenzone and Octinoxate. A 2015 study has shown that oxybenzone lowers the temperature at which corals will bleach. The same study also showed that oxybenzone damages coral DNA inducing severe and lethal deformities. “What really set alarm bells ringing for us was a study that revealed that a single drop in 6.5 Olympic-sized swimming pools would have an affect on our coral, so we decided to do something about it,” said Leleuvia Resort Manager Colin Philp. Another alarming find is that oxybenzone can be detected in urine just 30 minutes after being applied to the skin. Increased levels of oxybenzine in adolescent boys have been shown to lower testorerone. 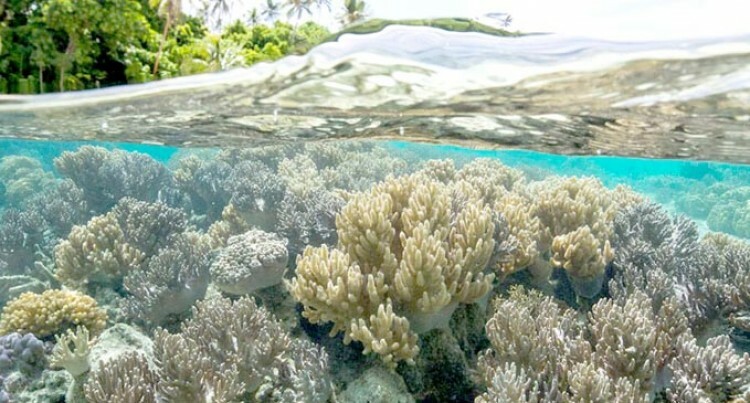 “Chemical sunscreens not only have a negative effect on the coral around Leleuvia but they also affect our on island waste treatment as any excess sunscreen washed off in the showers ends up in our septic tanks”. As an alternative, Leleuvia Resort offers mineral sunscreens, including a locally made product called Dilo Up, produced from Dilo nuts collected on Leleuvia. “The other product we sell is Coral Safe which is 100% Reef Friendly and is recommended by PADI and National Geographic”. On July 3, 2018 Hawaii State Governor David Ige signed into law a bill to ban harmful sunscreens. Hawaii is the first state of the USA to do so. Coastal travel accounts for 80% of all travel worldwide. As the number of tourists visiting the world’s oceans increases, the rate of sunscreen unintentionally washed into these marine environments also rises. It is estimated that 25% of sunscreen applied to the skin washes off over a 20-minute period spent in the water. Mr. Philp hopes other resorts in Fiji will follow the example Leleuvia Resort is setting, of being truly eco-friendly.